Steve Annacone, Director of MyHamptonsPro, has been a tennis professional and coach for over 45 years. Originally from Sag Harbor, NY and a graduate of East Hampton High School and the University of South Carolina (BS Business Management), Steve has been very involved in the tennis community in the Hamptons. His accomplishments include seven years of ATP Tour experience as coach for Paul Annacone (highest world rankings, #12 in singles, #2 in doubles) and establishing Smoky Mountain Tennis Academy (SMTA). SMTA opened in 1996 with the purpose of creating an environment for junior tennis players that would give them access to the positive aspects of the Academy environment, without leaving home at an early age. Players in the Knoxville, TN area and throughout Tennessee achieved success at the Junior, Collegiate, and Professional levels. Steve has used these and his other tennis experiences to accumulate the knowledge necessary to teach and coach players of all levels from 3 years old to 80+. Since this has been his lifelong passion, Annacone Tennis has adjusted their focus of the business to emphasize teaching and coaching players. MyHamptonsPro, a private court concierge tennis business in the Hamptons, will be the main resource used to execute this new directive. Under Steve’s guidance, the goal of Annacone Tennis is to increase overall participation in the sport and provide a great experience for players of all levels, from those just beginning to play tennis, to seasoned players who aspire to prove that “tennis is the sport for a lifetime”. By understanding that each player has specific needs and creating a customized tennis experience to accommodate these needs, Steve and our MHP staff will help you get the most out of your time on the court. "I grew up at Smoky Mountain Tennis Academy and I learned how to play tennis from Steve Annacone, as well as how to use those lessons in my life outside of the game. Everyone at SMTA has always treated me like family, and that is why I will always consider it home. Many juniors play tennis, but the players at SMTA learned how to play the game. My time at SMTA enabled me to achieve All American status at the University of Tennessee and also helped me be a successful college coach at Tennessee and Purdue. I owe all of that to Steve and the coaches at SMTA." "I started playing tennis at another tennis facility with a different coach but Smoky Mountain Tennis Academy is where I truly learned how to play tennis. Steve Annacone was my coach for basically 10 years and he grew my game exponentially. Not only did he teach me tennis lessons, but he also taught me things about myself and helped me grow as a person. Steve, as well as all of the other SMTA pros, treated me with great respect and put everything they had into the game. To this day, I still call Steve Annacone a friend, and I owe my tennis success to him and his expertise." "I have been a long-time client of MyHamptonsPro. The pros are all highly qualified, and you cannot find better tennis instruction and service anywhere. 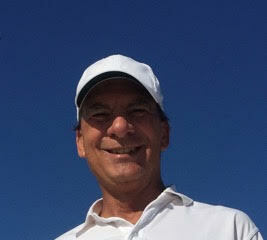 I would highly recommend MyHamptonsPro to anyone looking for this type of specialized tennis instruction at their home." "I would like to thank Steve Annacone and the ATM staff for their excellent work at Sag Harbor Park Tennis. The technical expertise of the staff, the organization, environment, and professional operations all contribute to a great facility. The club keeps getting better each year and we look forward to more success. Thank you."